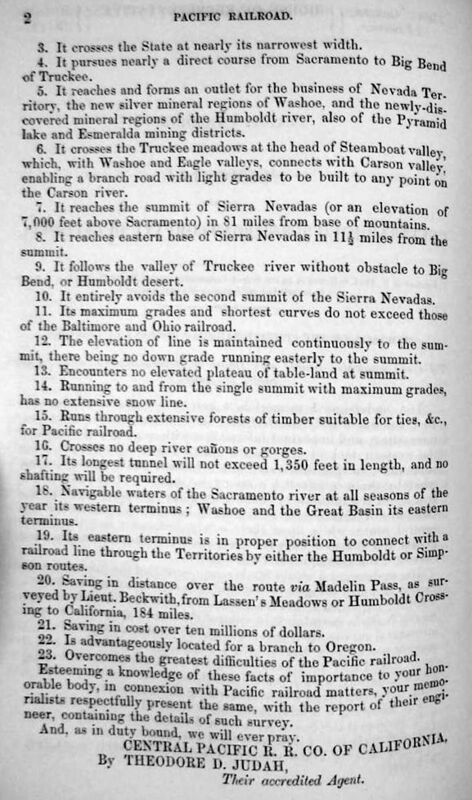 I've read that Judah was a participant in writing the 1862 Pacific Railroad Bill – Is it known if he originated the idea of having competing roads build the Pacific Railroad from its eastern and western termini? ... I have an original 1861 33 page proposal done by Judah and presented to the U.S. Congress. It is titled Pacific Railroad. 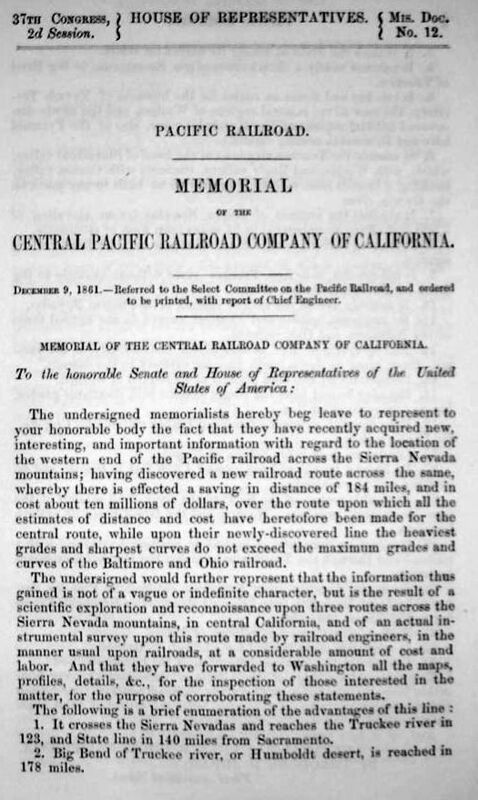 Memorial of the Central Pacific Railroad Company of California. This came out of a volume probably printed in Washington DC. The top of the page says: 37th Congress 2nd Session (House of Representatives.) Misc. Doc. no. 12. I guess there were about 200 copies printed. ... By the way, my g-g-Grandfather was E.B. Crocker.